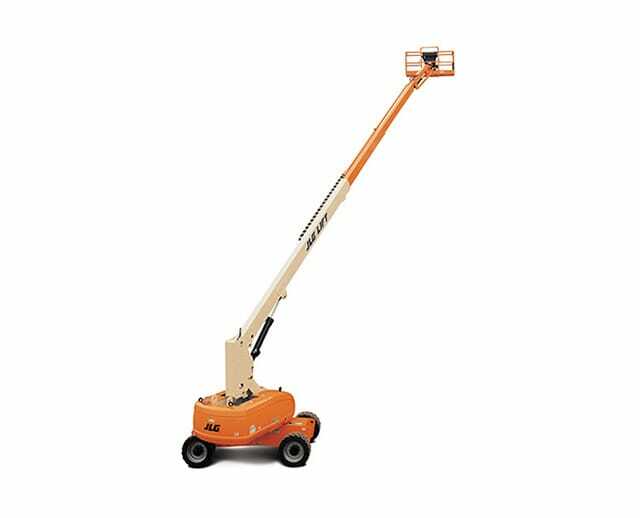 The 120 ft diesel dual fuel telescopic boom lift can access elevated work areas with its extendable arm and horizontal outreach capability. 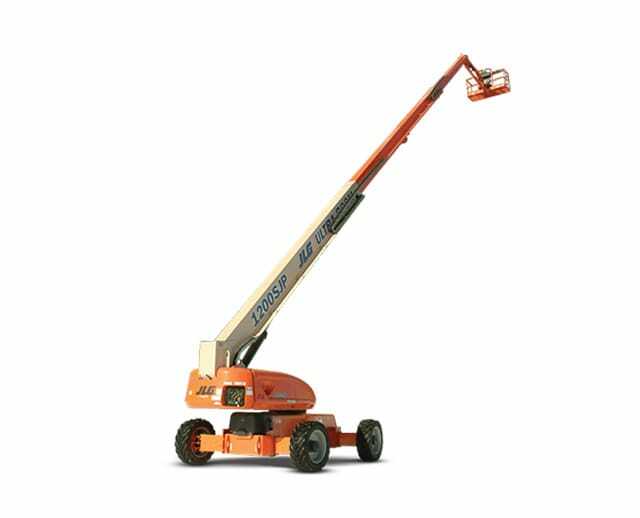 The telescopic boom lift allows operators to control the boom lift from its base to adjust their position. 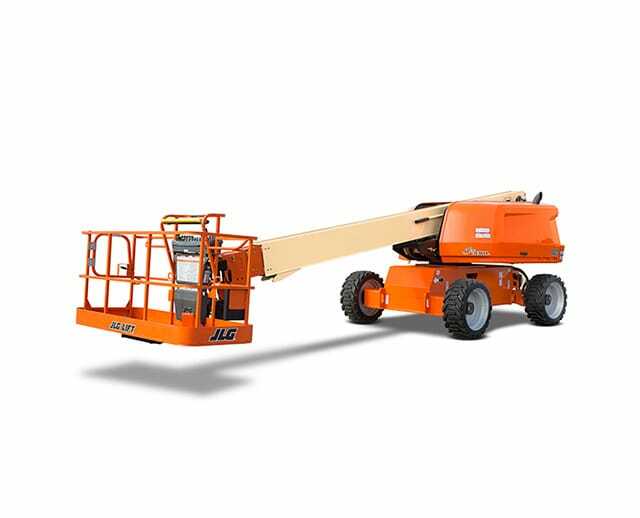 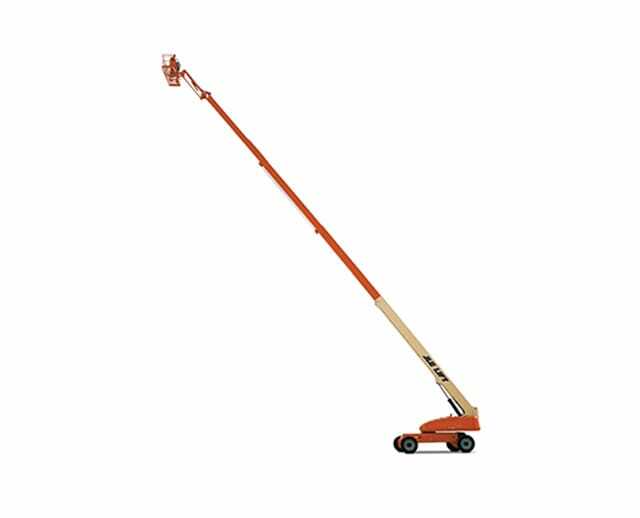 With its small frame and industrial-grade tread, the 120 ft boom lift can operate on and off the slab, and is ideal for outdoor projects with its dual fuel diesel engine.